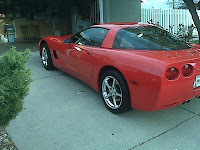 Steve Heindl is the one and only person I would trust my Corvette to. He is a professional and amazing representative of their company. He has always treated me with the utmost respect and delivered amazing service. He has helped me keep my 2001 Corvette Coupe look new for almost 10 years now.